The Rolling Stones’ “50 and Counting” tour has included a special guest at nearly every stop. The likes of Tom Waits, Dave Grohl, Katy Perry, and John Mayer have already joined the band on stage, and last night in Montreal, Arcade Fire frontman Win Butlertook his turn. 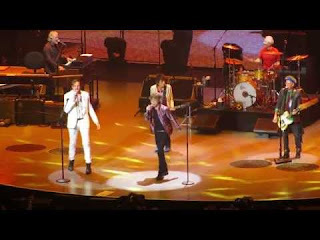 Watch him sing along with Mick Jagger on “The Last Time”.